And by doubles, we mean a two-for-one: shirtless AND tattooed. Farmers Classic semifinalist Alex Bogomolov, Jr. showed TSF some love before his match-up against Ernests Gulbis yesterday. Alex was on the Grandstand court playing points with a decent-hittin’ tween. BTW: Gulbis won that match 6-2, 7-6 (4). 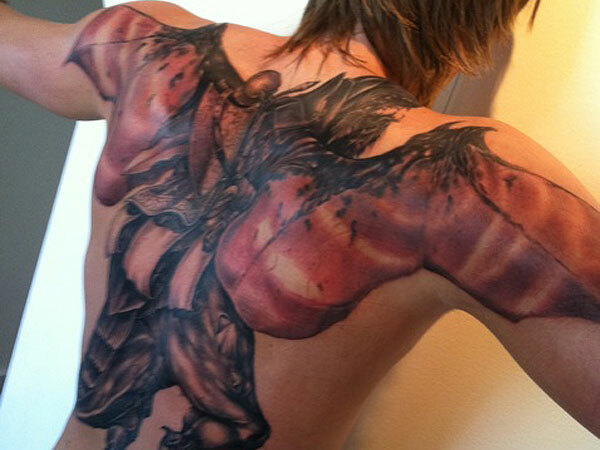 We already logged his right shoulder tat, and this is our first the Chinese characters on his left shoulder. TSF Vault: the TSF Tattoo Watch. Step 2: Can anyone help with a translation? Hockey (player) for homos: As New York Gov. Andrew Cuomo amps up his serious push for a marriage equality bill in Albany, the Human Rights Campaign scored a big win in the fight for equal rights: a major sports league male. Sean Avery of the New York Rangers is known as fashion-conscious (check out the glasses) and the 31-year-old NHL veteran isn’t shying away from being the first New York professional athlete to campaign from the cause. And this shouldn’t surprise anyone: he’s Canadian. The former Chelsea resident now lives in SoHo. 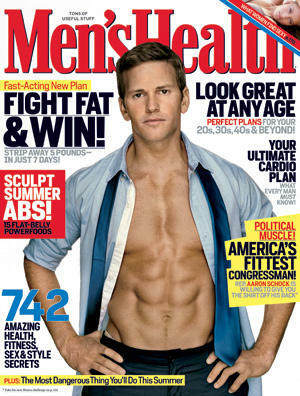 Schockingly perfect: There really is only one word for Illinois Rep. Aaron Schock: HOT. Yep, the soon-to-be-30 Republican from the Midwest is giving you a corn-fed washboard stomach on the current cover of Men’s Health. His reasoning to go almost-shirtless on the cover of a national mag? To promote healthy living. Hey, we appreciate such things, Aaron! But we’re still waiting for Mrs. O’s abs on the cover of Shape — and that ain’t happening until January 2017 at the earliest. Short(er) balls: While we may be a little late to the game (the event was tonight), ESPN the Mag teamed up with popular San Francisco-based Pop Up Magazine tonight on NYU’s campus in downtown Manhattan. That’s right — a live magazine. Regular This American Life-contributor Starlee Kine was going to be there, as were ESPN writers like Katie Baker and Alyssa Roenigk. The event featured artists and columnists as well, and we can’t wait to see/hear/smell/listen/touch what pieces of brilliance comes out from the evening after tonight. | In a strange story getting stranger, Nancy Kerrigan was due to testify at her brother’s trial today in the death of her father. | And just in case you forgot about our friends at Tennishead.net, we’re loving their British-inspired tennis coverage. Archives: Browse through the rest of the TSF Tattoo Watch blotter. 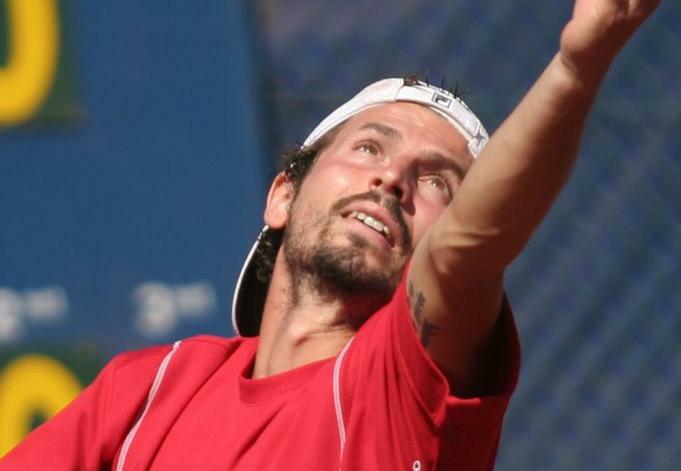 Romania’s Adrian Ungur has made it through to the second round of this week’s Serbia Open by beating Guillermo Garcia-Lopez in the first round (and qualifying for a spot in the main draw). Unfortunately, that’s probably where it’ll end; he faces Novak Djokovic in the hometown hero’s opening match tonight. Tattoo watch: Ungur told TSF (by way of the Serbia Open media folks) that the hip tat you see peeking out of his shorts means “respect” and “honor” in Chinese. Open season: And he also revealed that he has four more: a star on his hand; the initials of his wife; a bracelet on his upper right arm; and an old Georgian saying on his arm. Let the photo hunting begin! If anyone out there has a better pic, we’d love to see it! 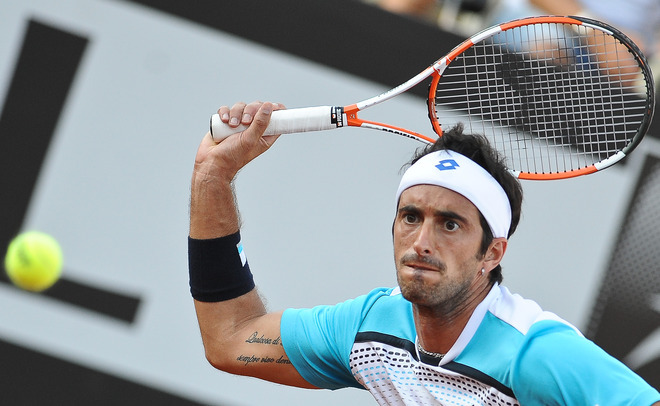 Read up: Vagnozzi’s page on the ATP site. This year, the ATP website lists him as having played only one tournament (and winning it!) — a futures event in Turkey last month. Raging Bull: American Alex Bogomolov, Jr. upset Andy Murray with a 6-1, 7-5 win over the Scot in a second-round match at the Sony Ericsson Open in Key Biscayne, Fla. It didn’t help rusty Andy’s cause that he came in with a three-loss streak (starting with that Aussie Open final loss to Nole). Bogomolov, on the other hand, had a few matches under his belt by qualifying for the main draw and beating Victor Hanescu in the first round. Clothed: Nice colors on that graphic blue/black crew from Athletic DNA. Nope, nothing to do with Charlie Sheen. Buy: Eclipse T Men’s, $49.95. Czech player Karolina Pliskova has some massive tattoos on her upper arm and thigh (in that same tribal pattern). FYI, she won the 2010 Australian Open singles title. Karolina’s twin sister, Kristyna, took home the Wimbledon junior singles title that same year. Bling: Check out the monogram on her official website. She’s going places. Svetlana Kuznetsova gave us a little peep show before her early exit at this week’s China Open in Beijing. 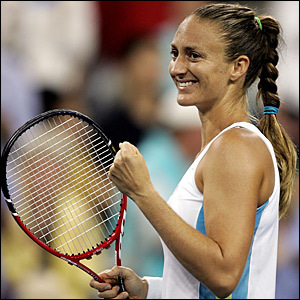 The Russian, seeded tenth at the event, lost to qualifier Roberta Vinci in three sets. Can’t wait to see the site (or possibly another tattoo)! We checked in with the camp of Austrian Andreas Haider-Maurer, and it turns out that his forearm tat is the time he was born. He and his Davis Cup teammates are playing out the tie against Israel for a spot in next year’s World Group. They’re currently down 1-2; Haider is currently set to play the fifth rubber against Harel Levy. More: Tie info here. 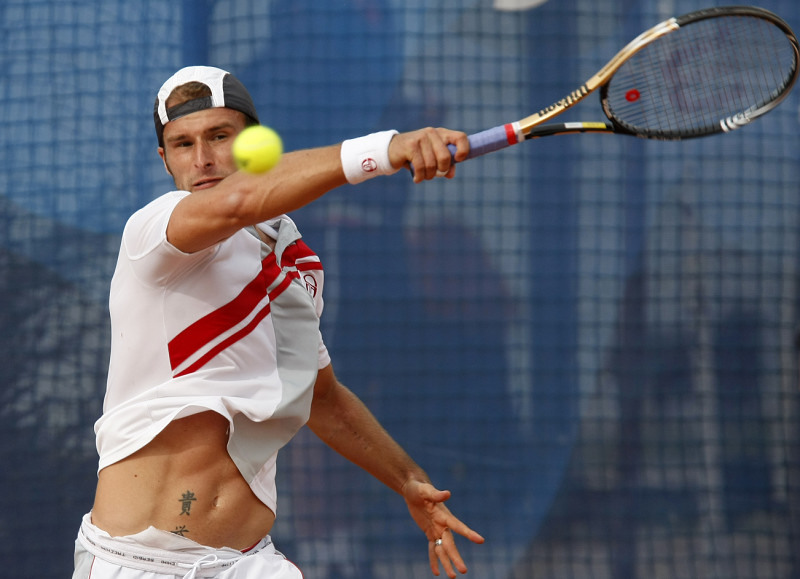 Austria’s Andreas Haider-Maurer lost the first rubber against Israel’s Dudi Sela at this weekend’s Davis Cup World Group Play-offs (in Tel Aviv). The scoreline: 6-4, 6-1, 6-3. Last month, Haider qualified for the 2010 US Open Main Draw on his first try; he lost to Robin Soderling in the first round. Not sure what that tattoo is… possibly a bible verse? 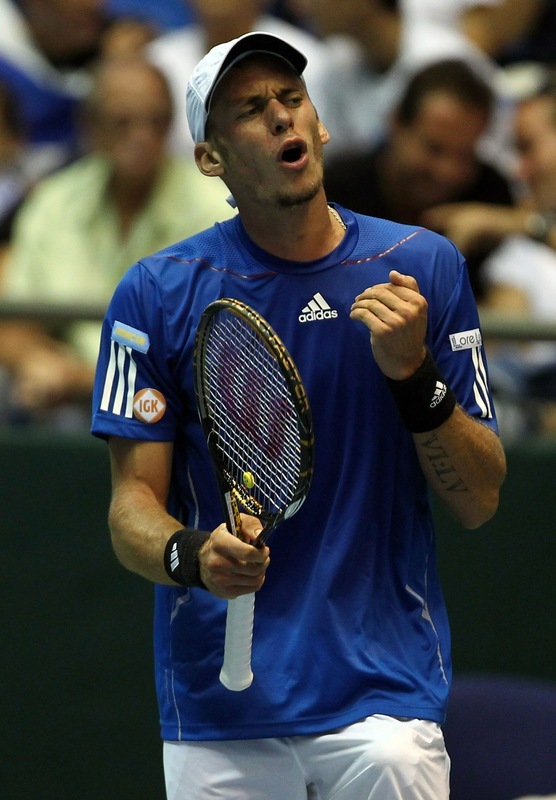 Even: Jurgen Melzer beat Harel Levy to put the tie at 1-1. See all the stats here. Update: That tattoo isn’t a bible verse… Andreas’ camp tells us that this (6:55) is the exact time of his birth. More: A closer look at Robert’s tattoo, which says “Et in asperrimis temporibus amor et spes adsunt“, in the gallery below. Just in time for Wimbledon, TSF discovered a big-time Roger Federer fan who wears her pride on her sleeve… er, to be exact, the underside of her wrist. Always. Michele Drohan is avid tennis player who lives in Manhattan and works for a video and TV product company called Sling Media. She also happens to have the RF logo tattooed onto her wrist, something few fans can claim. We bring you the story of Michele, her tattoo, and the way it all came about. TSF: When did you get the tattoo? 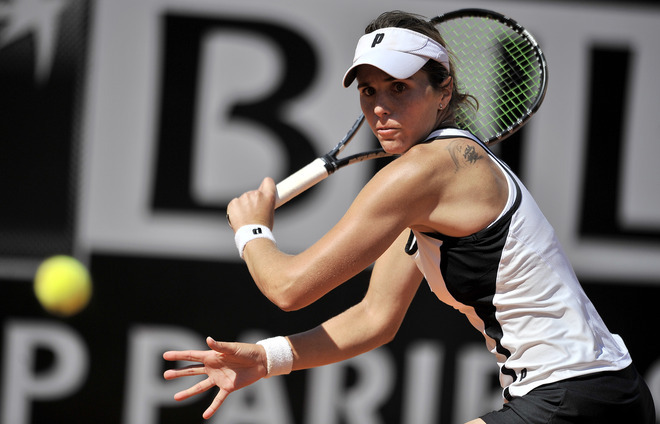 Michele Doran: I got the tattoo the same day Fed (finally!) won the French Open, in 2009. TSF: Good timing. Tell me about the thought process of why you got it. MD: The fact that Fed had completed the career grand slam and tied Sampras‘s record was a special moment for me as a long-time, die-hard fan. My best friend, Caroline, jokingly bet me that if he won I should get a tattoo. And it just made sense at the time. It might sound strange to the non-fan, but I did it, in part, because I felt I wanted to honor his accomplishments, like I owed him. He’s brought me so much joy, and a fair share of anxiety, watching him play and I truly believe there will never be another like him. TSF: Fair enough. But what about those people in your life who have brought you joy (and anxiety) personally? Weren’t there a few that were completely against it? MD: Nobody influential was against it, but I have friends who bristle at it, mostly because they’re jealous, frustrated Roddick fans. (Insert sly laughter here.) Again, Caroline my best friend — and fellow fanatic — was totally for it and with me when I got it. She got a tattoo, too, but nothing tennis related. It was definitely a celebratory day. Maybe we were a little drunk. But I don’t regret it at all. TSF: More power to you (and Caroline)! Do you have other tattoos? MD: I have three other tattoos. A small rose on my back, a snake on my arm (which I tried to get removed unsuccessfully — long story) and another flower on my ankle. 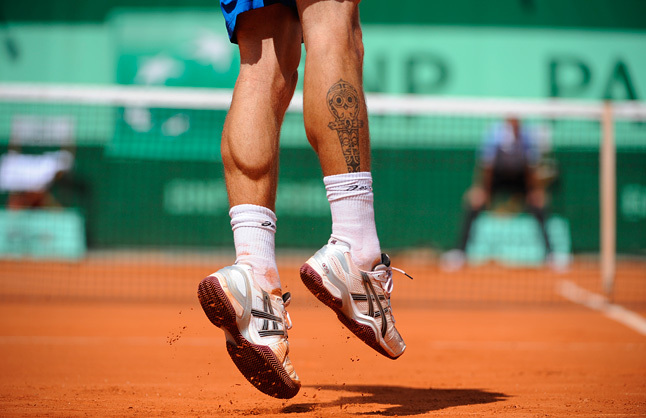 So getting the RF tattoo wasn’t a stretch per se. Once you have one tattoo, getting another isn’t a huge deal. TSF: OK, got it. I haven’t delved into that yet. But I was thinking of a vintage Mary Pierce pony tail down my neck and back. No? For you, why the RF? Do you have a big obsession with Roger? Or just love the design? Or both? MD: As for the RF, it was totally and completely for Federer. Yes, some would say I’m obsessed. I guess I’m just lucky he has such a fabulous logo.